“Bird Key Yacht Club was a beautifully unique venue to host a fabulous and well attended wedding show! Cupcake Delights specializes in semi-naked and buttercream wedding cakes, up to 3 tiers, cupcakes, mini cupcakes and mini dessert cups. Our desserts are made with only the finest ingredients and our signature handcrafted buttercream lets you taste the difference. We offer free wedding tastings, where you can sit down and talk about the vision and theme of your wedding. Call us today to schedule your appointment. 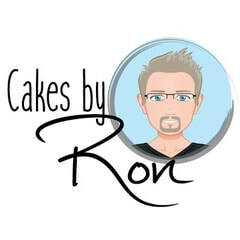 We create the most delicious and stunning cakes in all shapes, sizes, flavors and budgets, made from scratch daily. er custom engraved wine bottles & wine boxes and custom engraved chocolate boxes. Create your place setting in chocolate with a custom designed wrap. Everything is done in house at Noela and no detail is left unnoticed. Christian Nye has always appreciated the art and science of cooking. After studying at the renowned Culinary Institute of America in Hyde Park, New York, he worked as an executive chef for 16 years, guiding the epicurean vision of hotels, resorts and private country clubs. He even had the privilege of cooking for a couple of U.S. presidents. The Brow House -A cosmetic/Aesthetic Studio that specializes in a few services ....mainly for the EYES. Our services include facial waxing, eyebrow and eyelash tinting as well as eyelash-extensions and Microblading. Located just off downtown in the business cottages near Osprey/Fruitville. By appointment only/Online booking available. A native to Sarasota, FL, Kelly Anne has been in the industry for over seven years. Her love for beauty showed itself at an early age. At just eight years old, she was creating looks on her friends and sisters after sneaking her mother’s lipstick and mascara from her bathroom. There began an obsession with makeup, hairstyling and beauty that still lives on. Mark and Michele’s goal was to conceive and bring to fruition a beautiful, hygienic nail salon that felt like a home—a chic home—where guests are welcomed with affordable luxury services, exceptional sanitation standards, and impeccable customer service. With that goal in mind, they established PAINT Nail Bar. Our goal at Calvet Couture Sarasota is to create a unique and personalized experience for brides. 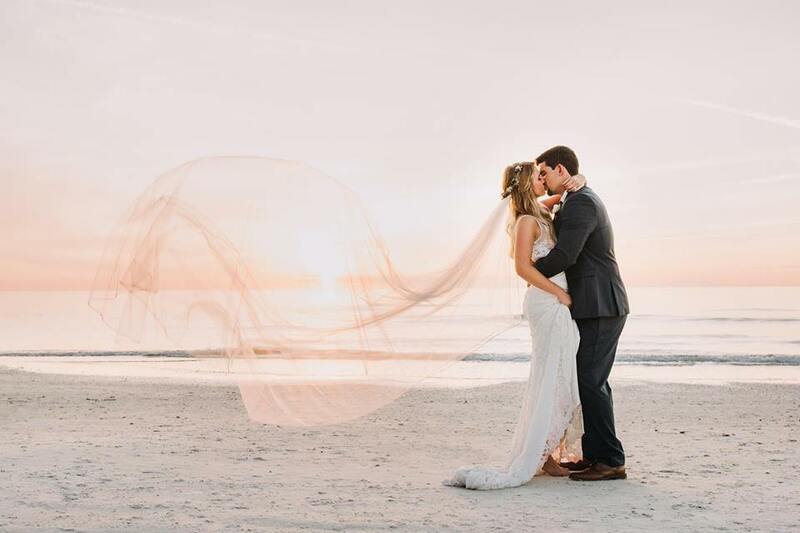 As the West Coast of Florida's premier destination for couture bridal, we offer designs by Inbal Dror, Ines Di Santo, Reem Acra, Hayley Paige, Blush by Hayley Paige, Katie May and Pronovias. Our selection of gowns is carefully curated, each with beautiful ornamentation, details and fabrics by designers that are in high-demand by the fashion-forward, discerning bride. We also offer bridal accessories. Calvet Couture Sarasota caters specifically to the bride and at this time, does not offer additional styles for the bridal party. The Camilyn Beth ‘Bridesmaid Collection’ is designed with the concept of being classic and comfortable, while having a unique detail that will make you look and feel beautiful! Each dress is available to all bridesmaids and bridal parties, as well as any individuals looking for formal gown dresses. Our bridesmaid dresses are known for being the bridesmaid dress that you want to wear, over and over again! Each style is also available in white for our brides to stock up on their ‘Little White Dresses’ for all of their upcoming bridal events! Looking for a wedding suit? Jos A Bank has sharp wedding-day looks to keep for style beyond the big day. Because no man ever regretted looking too good. ​As caterers, we focus on creating outstanding flavors that are presented beautifully and perfectly tailored to the underlying theme of your event. We all know that food can be a make-or-break element at any gathering. Our culinary goal is freshness, simplicity, quality and beauty. Our eclectic menus, made of fresh, local ingredients and flavors influenced from culinary regions across the globe, aren’t just bites in the background, they are an integral part of your special day. We work with you to create your perfect menu, crafting a custom menu to ensure the table setting is exactly what you envisioned. And then some. It is our pleasure to create a Unique Menu tailored perfectly for your taste, budget and event. Our Special Event Planners start by consulting with you in-person or over the phone about your vision and ideas, drawing inspiration from your favorite foods and restaurants, event goals, and personality. The Copper Acorn is a vintage furniture prop and decor company located in Sarasota, FL. We offer rentals and staging services for weddings, parties, engagement announcements, photo shoots, farm to fork dinners and any special event. We have a wide variety of everything vintage from chairs, sofas, fancy goblets, farm tables and so much more to add that special touch to your event. Matt Winter Band has been providing the best in wedding entertainment on Florida's Gulf Coast, in the Tampa Bay Area, and across the country for the past 10 years. The band brings high energy, top quality, party-throwing performances every time they take the stage. As a National Act that toured for over 7 years with BMG , Matt Winter Band knows how to throw a party and keep the dance floor packed all night! Matt Winter Band covers nearly every genre of music including Top40, Rock, Soul, Blues, Funk, Jazz, Reggae, Country, R&B, Dance Music and Motown. The band ranges in size from Matt as a Soloist, up to a 9 piece Band with horns and any size in between.Matt Winter Band will ensure the music on your wedding day is something you and your guests will be talking about for years to come! My professional DJ service, Jam All Day Entertainment, was started from my love of music and getting people motivated to dance and have a great time. My business continues to grow due to client referrals and recommendations of their guests. It makes me feel great when my clients tell me how much fun everyone had at the event and how the music appealed to all age groups. Please contact me at least two weeks in advance of your event to allow me time to organize all of your favorite music requests. Is your wedding out of town? No problem. I'm willing to travel to Sarasota, Orlando, Tampa, Naples, and beyond, to make your wedding event the best it can be! The Modern Girl Party & Co.
At The Modern Girl Party & Co. we love nothing more than a party, and turning a good party into a great one. From fun party packages for kids and adults tocustom party planning! We bring together an inventory pool of services, & products to bring your party to life! From Organic Cotton Candy Cart, Rentals,balloon installations, Party Packages, and Mobile Spa parties for children. hello, darling! i'm kristin- wife, florist, toddler mommy and animal lover! i was born and raised in sarasota and graduated with my art degree from florida gulf coast university in 2011. i discovered my passion for floral design while planning my own wedding in 2012 at selby gardens and the ritz-carlton in sarasota. my floral design experience began at suncoast technical college where i fell madly in love with creating beautiful arrangements for all occasions. i work very closely with each of my clients, from conception to creation. i take pride in my personalized approach to business. each bride has her own unique style and it is my heart's desire to bring your vision to life on your special day! Off the Beat Travel specializes in creating unique, personalized itineraries for your trip of a lifetime. Focusing on luxury travel, they will create a honeymoon that you will never forget, with amazing perks. Let them do all the hard work for you whilst you focus on all the other important details for your wedding day! The owners of Off the Beat Travel have traveled extensively, having visited six of the world’s seven continents, and their personal expertise helps them make recommendations you know you can trust. Aloft Sarasota offers a convenient downtown location, vibrant social scene, and tech-savvy design. Our Sarasota hotel is located just minutes from the bay, popular islands, and beaches, plus the nearby Ed Smith Stadium and Historic Spanish Point. No two neighborhoods are alike. Neither are any two Hotel Indigo® properties. When you stay with us, you’re not just staying anywhere, you’re staying somewhere—within a vibrant community, in a unique boutique hotel that combines authentic local experiences, modern design and intimate service with the peace of mind and consistency of staying with one of the world’s largest hotel groups. Palacios Lights - Drapes and Decor is based in Sarasota, FL. We offer Event Draping, Lighting and all inclusive packages directly to our costumer or to your event planner. We offer our services for Weddings, Quinceaneras, Baby Showers, bar/bat Mitzvah and Birthday parties. Be Glam Photo Booth presents a totally chic and modern photo booth experience in Sarasota. Our party photoboothh rentals guarantee to bring your wedding, corporate event, or other occasion to the next level, while creating timeless keepsakes for your guests. Our professional camera and lighting equipment is housed in a modern, clean tower that will look great at any event. So line up, string a pose, and never forget the fun you had. Roohi Photography weddings are filled with bursts of color, romance and emotion. It's more than your wedding day for Rana, it's a lasting relationship built on connection and trust. From the U.S. to Italy, Rana has traveled near and far to capture moments that she'll never forget. Write-On Sarasota congratulates you on your recent engagement! Write-On Sarasota is excited to help with all of your wedding needs. We believe that your wedding invitations should be sent out 4-8 weeks before your wedding day, so please make an appointment with us! When we meet for a detailed consultation, we will discuss your wedding style, colors, shape, and overall look. We are here to design your invitation, reception information, RSVP card, accommodations card, and a beautiful envelope to seal and deliver to your loved ones.